Articles, tutorials, and thoughts on Software Development, Java, and Vaadin. In this article, I'll show you how to create the famous Hello, World application using the Java Programming Language and Vaadin 12 (also valid for Vaadin 10 and 11). Get comfortable, make sure you have Maven installed, fire up your favorite IDE, and let's get started! Start with a starter, obviously Go to https://vaadin.com/start/latest and select Project Base. This is the most straightforward project starter and serves well as an initial point. Click Download and extract the zip file. 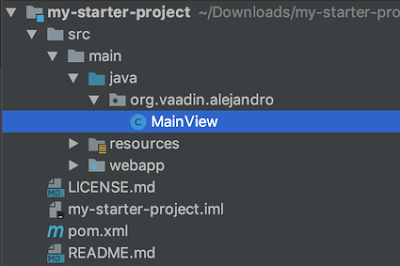 You should get a directory with a Maven project in it. Import this project into your favorite IDE (mine is IntelliJ IDEA, by the way). Although this example application is simplistic and no one should ever use microservices to implement an application like this one, it shows you how it feels to run this kind of applications and how to implement it using Spring Cloud. If you only want to play around with a microservices application, follow this tutorial. If you want to code the full app using Java, Eureka, Spring Cloud Config, Spring Data Rest, Hystrix, Zuul, Spring Session, and Vaadin, follow the complete 9 steps tutorial. In real-world projects, you most likely wouldn't start microservices like this. You would probably use an orchestration tool such as Docker Swarm or Kubernetes. There's a Git branch in the repository for this example application that contains Docker files you could experiment with to learn more about how to deploy microservices in production environments. 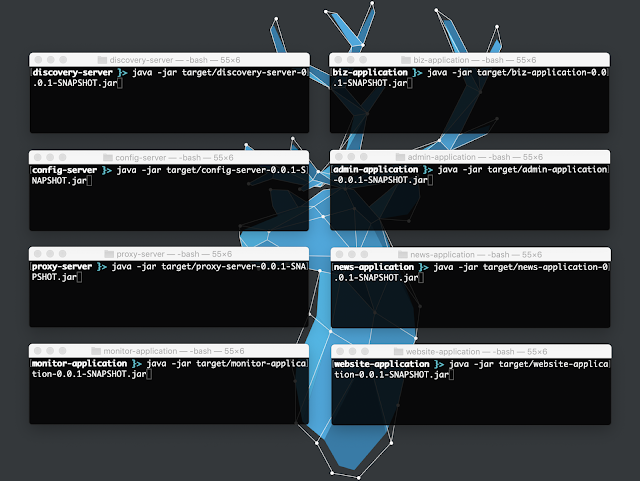 Here's a short excerpt of Chapter 9 Lazy Loading of my book Data-Centric Applications with Vaadin 8. Even though we have explained lazy loading by using the Grid component, we can use the same backend service method to implement custom UI components that support lazy loading. For example, you can use a VerticalLayout to add sets of, say, 10 components any time the user clicks a load more button at the bottom of the layout. In this case, you would need to keep track of the current offset and keep incrementing it until the service method returns less than 10 items.